Manchester United are still unbeaten under Ole Gunnar Solskjaer. After a slightly sloppy 2-2 draw against Burnley, they managed to get past Leicester City and win the three points at the King Power stadium, as Marcus Rashford scored the only goal of the match. The Red Devils did not show anything near a breathtaking performance, but their fighting spirit and resolve was enough this time for the seventh Premier League win of the club under the Norwegian manager. Solskjaer now has as many league wins this season as Mourinho, even though he is just eight matches into the job, compared to Mourinho’s 17 before he got sacked. Here are the four things we learned from a successful afternoon in Leicester. 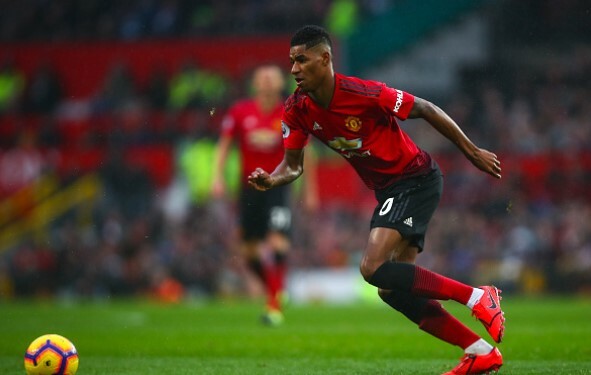 Marcus Rashford did not thrill against Burnley. He had a really good chance at 0-0 early on which he squandered and afterwards tiny bit of insecurity got into his performance. Rewind five days and Rashford is starting as the lone striker, repaying Solskjaer with a match-winning goal. It was a beautiful slick move as Paul Pogba won the ball in the middle and straight away sent it over Leicester’s defence. Rashford took just one silky touch before firing the ball into the net with composure. That proved just how important continuity is for younger players. It is easy to imagine he would be benched after the Burnley match during Mourinho’s reign, but this time he played again and showed that some slightly off performances are a normal thing. And all of that comes down this – Man United really do play for their manager. That was not really the case for Mourinho’s last weeks at the helm. Solskjaer’s positivity and brightness also made the players feel loved and safe under his guidance. That is why when matches such as this one occur, the team is fighting with everything they have got to get the needed result. Man United were far from their best and Leicester could have capitalized on that, but the unity of the team was evident and it brought the result. James Maddison was one of the best – if not the best – players on the pitch on Sunday. Leicester’s number 10 was magnificent in everything he did – moving the ball around, creating chances from open play, creating them from set-pieces or even dribbling himself into good chances. He seemed like he could do it all and Maddison definitely made Man United fans feel unease in certain periods of the match. Without him this season, Leicester would have much more problems. This was another great performance for David De Gea. Many have judged him based on a chaotic World Cup and a poor Man United defence in the first part of the season, but he has proved everyone wrong once again. The players needed him to step up and make crucial saves and again, De Gea was there for his teammates. The Spaniard made six saves, some of them truly great ones, like a shot from distance going straight into the top corner or Jamie Vardy’s bicycle kick from 12 yards.